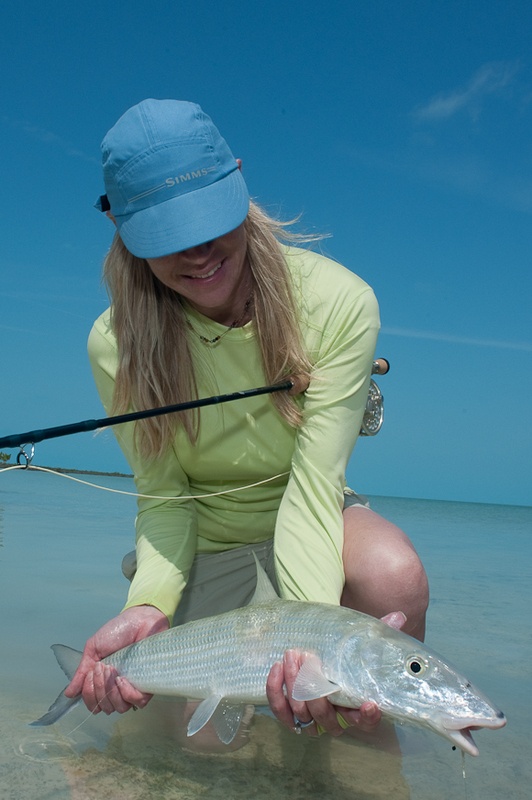 It’s been a year now since I went Fly Fishing for Bonefish on Andros South, which means I can officially swing into a nostalgic frame of mind. When I started down memory lane, I started going through my photos from the trip. Then I started watching the videos I took during the trip. 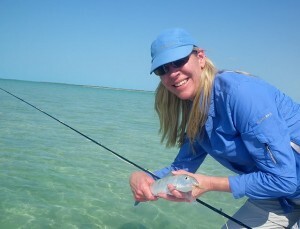 Then I started thinking about my year in fly fishing after I left the Bahama region. 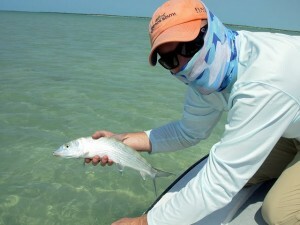 A trip bonefishing like the one I took via Deneki Lodge can seriously screw up any fly fishing trips you take after you are forced to return home. 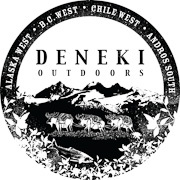 Before I left for the Bahamas, I did my research, what to expect when bonefishing and all that jazz, but no where on the Deneki website did I read about the potential side effects and issues such a trip could have on my home water fly fishing. 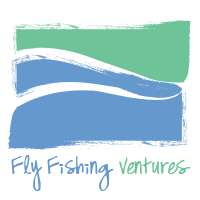 Go read it and then I’ll feel like I’ve done my duty, stood by the code of fly fishing and warned everyone of the hazards you may unwittingly return home with after such a trip. Flub #1 ~ I caught this fish when technically I was trying for a different one that I missed. Flub #2 ~ My pronunciation of Tom Larimers last name. 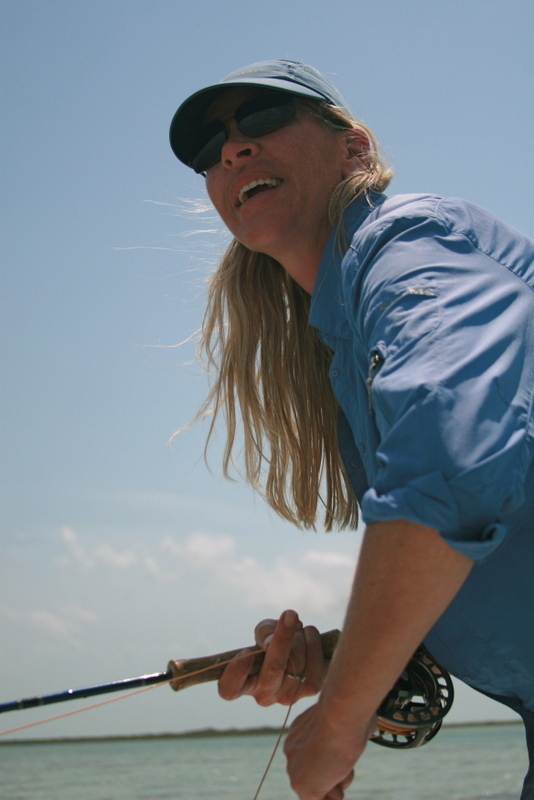 Flub #3 ~ Try to act all smart and cool-mo-dee when trying to hold a slippery (little suckers) bonefish. 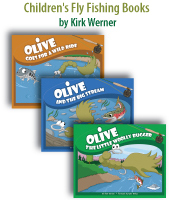 As you’ll see in the video, the fish taught me…. My thanks to Tom Larimer who not only took this video, but spent not one, but two days fishing with me. And was traumatized for a good hour over the incident. 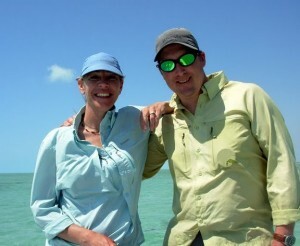 Oh, and I had an incredible, amazing time fishing with Tom. 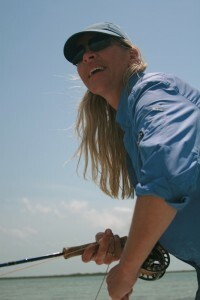 I learned a lot, laughed a lot, caught fish, got casting pointers and can’t wait to Fly Fish with him again.